How to keep your article flowing like a sailboat. 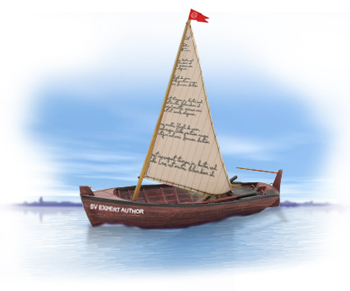 Information in your articles should flow to your readers like a sailboat going downwind on a lake. You have to keep the content moving in the right direction or your readers will jump ship and look elsewhere for the content. If you’re able to keep the wind in your sails and keep the readers’ interest up, the article will flow and you’ll build a reputation for insightful content. If not, the article could get lost at sea. There are a couple different things to think about when you’re trying to keep up a constant flow of information in your articles. Mainly, the content in the article and how you present it will keep your writing flowing. Stay on Topic – Unrelated content can push you offtrack and away from the main message you’re trying to deliver. If you stick to one point or a set of similar points, you’ll be less likely to stray away from your message. Building your article with “fluff” content may get you to the minimum word requirement, but that content is of little value to readers. Pick One Theme – Try to step back from your article during the writing process and check that the main theme can be summarized in one or two sentences. If the theme can be easily defined, the article is pointed in the right direction. If the main point is unclear, you may have too many themes and that can distract readers. Break Paragraphs With Headers – Subheadings are great ways to break up large chunks of text or multiple paragraphs. If they’re used effectively, they give visual queues to the reader for what is important. If a reader is skimming your article, subheadings give them a quick idea of what you’re presenting. Use Organized Lists – Bulleted and numbered lists organize information in small snippets. They also keep your writing on point and moving in the right direction. Use these tips now to write and submit your next set of high-quality, original articles. Leave a comment to share how you keep your own articles flowing. Absolutely correct, of course it is often easier said than done, it takes a little practice, good focus, and a commitment to excellence. Great topic for today’s blog, I completely concur. Staying focused on the content is the hardest part. Great tips. I find its a good plan to first get things down on paper or in a rough copy in a word doc, then create a specific order for your writing and don’t be afraid of cutting down your articles to just leave the juicy bits! Headers and bullets. Headers and bullets. Got it! Thanks! I try to keep to the subject and not stray. That is a great reminder and it is easy to forget and ramble on. This is just about how I write nearly all of my articles lately. Also try to make the resource box flow over to the destination page as well. If you did a good job on the article, you won’t want to disappoint the reader when they finally click that link looking for more of that good stuff. Breaking article with headers helps the reader to quickly grasp the content of the article before reading it fully. Bulleted and number list also helps the “lazy” readers who want read only the points and not the whole text. Gosh, I really love that song! I have recently started following the third and fourth column instructions. I am yet to know the progress. Such good advice. Though I’ve written for years, I am new to Ezine writing. I look forward to contributing my articles on creativity and other zany ideas on how to live fully and with purpose. Staying on topic is extremely important to the reader and I keep that in front of me while I try to make the article interesting and informative. My style is also to touch my readers’ heart. Happy Thanksgiving, Marc, and to all of your thousands of readers, too. The three main requirements to get the reader to follow the content easily is relevancy, article captions and proofreading. The three paragraph technique allows the writer focus on the topic with relevancy to the reader and to use the article captions so the reader can see relevancy at a glance. The three paragraph format provides cohesiveness of ideas and also keeps relevancy flowing smoothly throughout the online content. The three paragraph format of writing is also a great way to know when to insert the article captions in the content of the article. Spell check is computerized and needs the writer to re-read the content after using the tool.